Now that spring is here, I decided to put together a list of my favorite "spring things". Some of these I own, and others I just plain want (I'm looking at you, Rag & Bone denim shorts). 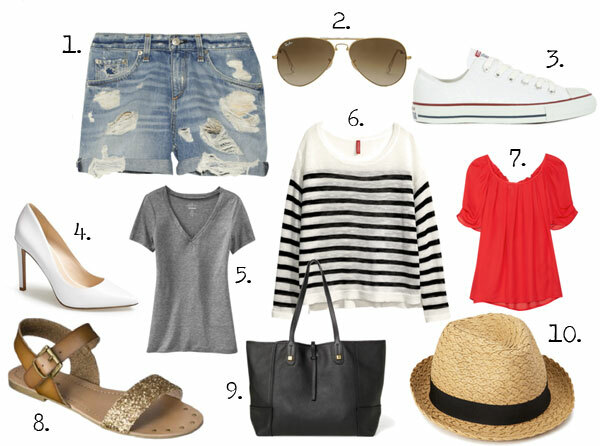 I love that all of these pieces are classic closet staples that can be worn year after year. What are you hoping to wear this season? Great picks! Love those rag and bone shorts! Great mix, love the white pumps and glitter sandals (natch! ).